We’re bursting with excitement to meet you! UNT Preview is your chance to get a sneak peek at campus life and see what it's like to be part of the Mean Green family. 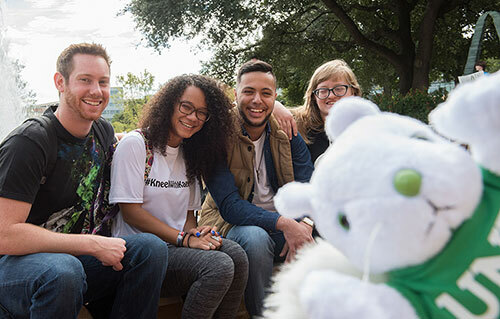 Bring your family and friends to discover for yourself what makes UNT unique – and uniquely perfect for you. 2019 Fall UNT Preview dates will be announced soon! This open-house showcases the whole spectrum of campus, including Academic Departments, Admissions, Financial Aid, Scholarships, Housing, Student Activities and the Denton Community. Join us and discover what UNT can do for you! If you have questions, please email us or call 844.366.5887. UNT is just nuts about Lucky, the albino squirrel. Students are always on the lookout for him on campus because he's said to bring good luck. He's super photogenic and loves having his photo taken.  Find Lucky and win: When you see #UNTLucky signs, snap a selfie with them and post it to Twitter or Instagram using #UNTLucky for a chance to win prizes - bonus if you spot him in all his squirrelly glory! Winners will be chosen throughout the day. The Homewood Suites by Hilton® Denton, TX hotel, idyllically set on Unicorn Lake, welcomes the guests of the UNT Spring Preview. Enjoy easy access to Denton’s shopping, restaurant and entertainment scene. The Homewood Suites offers a homelike setting with a complimentary hot full breakfast every day. Call 940-382-0420 or reserve your room today! Whether you're a working professional or taking your first steps into higher education, the UNT Toulouse Graduate School invites you to attend the Grad School Preview to discover what lies beyond your Bachelor's degree. Current UNT students seeking more information about graduate school are welcome! Find out what UNT has to offer. Watch our videos.